Hawaii based Teddy’s Bigger Burgers is set to open several new franchise locations on Oahu (HI), Southern California, Seattle and Iowa City (IA). This fast-paced 50’s themed burger joint will soon be seen across the nation in 2013. 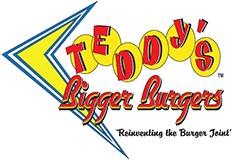 Popular Teddy’s Bigger Burgers started in Hawaii in 1998 and has sizzled the island of Oahu with its quality burgers and shakes ever since. The new franchise locations in Hawaii include Kapiolani Blvd. which will open mid-April, and Corporate stores Kaneohe and Ewa, expected to open May 10 and May 31st respectively. As for the continental U.S, Teddy’s just signed their first franchisee in Southern California and and second franchise agreement in Seattle and are currently looking for the perfect location for their restaurants. The brand new Iowa City location has started construction and will be open to enjoy in June of this year.